It’s finally here! 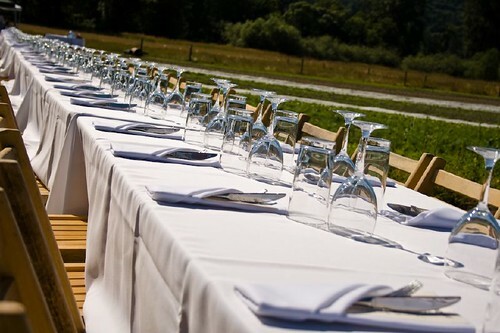 The Outstanding in the Field Dinners take place in the Seattle area starting next week. With three here in Seattle, one in Vancouver, B C., and one in Pemberton (just outside of Whistler) you have plenty of opportunity to experience these fun dinners. And for those of you outside the Northwest there are plenty of other options coming up on the schedule, too! I attended three of them last year and each was a different experience based on the farm and location, the chef and the guests. I enjoyed all of them. You can read my summaries of one held in Carnation and one in Vancouver. And you can see lots of photos from events around the country in this Flickr Pool. To choose which location is best for you and to make a reservation see this listing of events.